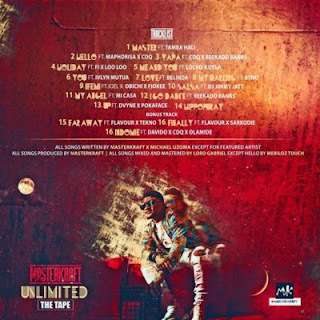 Nigerian Record Producer, Dj, pianist and Songwriter, Masterkraft has concluded work on his anticipated Mixtape titled “UNLIMITED” which would be out in few days from now, A track of 14 Songs with 3 Bonus Songs with futures Both Nigerian And Other African Hottest Artiste. 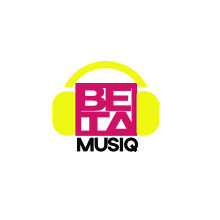 Here a few of the artistes which he worked with: Flavour, Davido, CDQ, Tekno, Olamide, Sarkodie, ReekaDo Banks, MiCasa, Byno, Joel, Dj JimmyJatt, Dj Maphorisa, Locko, Dela, Fiokee, Dvyne, Poka Face, Tamba Hali, FI X Loo Loo, Belinda, Ivlyn Mutua Etc. 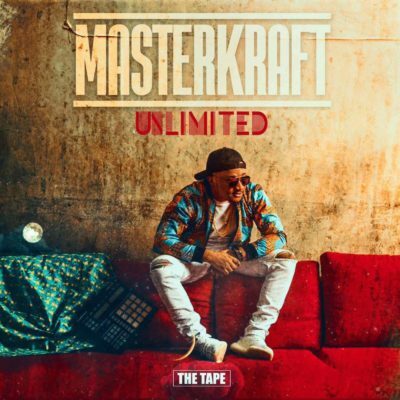 The masterpiece of musical work on the “UNLIMITED TAPE” Shows and classify the brand “Masterkraft” as one of African creative and more redefined producer.